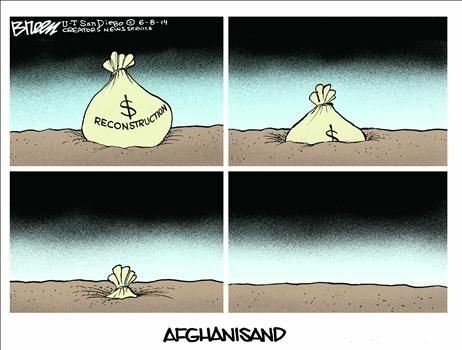 You would think the never-ending mess in Afghanistan would have taught us lessons. Or maybe we might have learned lessons from the never-ending mess in Iraq. Notwithstanding those unpleasant experiences, President Trump is expanding America’s intervention in Syria with missile strikes. This rubs me the wrong way, but let’s look at what others are writing on this issue. One of my colleagues at the Cato Institute, Gene Healy, isn’t impressed by Trump’s intervention. Kevin Williamson of National Review is equally unhappy with Trump’s unilateral intervention. As Daniel Pipes and others have persuasively argued, the United States does not have an ally in Syria. The United States does not have any national interest in the success of the ISIS-aligned coalition fighting to depose Assad. The United States does not have any interest in strengthening the position of the Assad regime and the position of his Russian and Iranian patrons. …Of course the Assad regime is murderous. It is murderous in an awfully familiar way: a Baathist despot in cahoots with jihadists using chemical weapons against a civilian population. …The Trump administration has no authorization to engage in war on Syria. Congress has not declared war or authorized the use of military force; there is no emergency to justify the president’s acting unilaterally in his role as commander in chief; there is no imminent threat to American lives or American interests — indeed, there is no real American interest at all. President Donald Trump is acting illegally, and Congress has a positive moral obligation to stop him. …All decent people feel for the Syrians. We also feel for the Ukrainians, the North Koreans, the men and women languishing in Chinese laogai, Russian gulags, and Cuban prisons. We do not go to war for the sake of sentiment. We go to war for the sake of pressing national interests that cannot be otherwise secured. 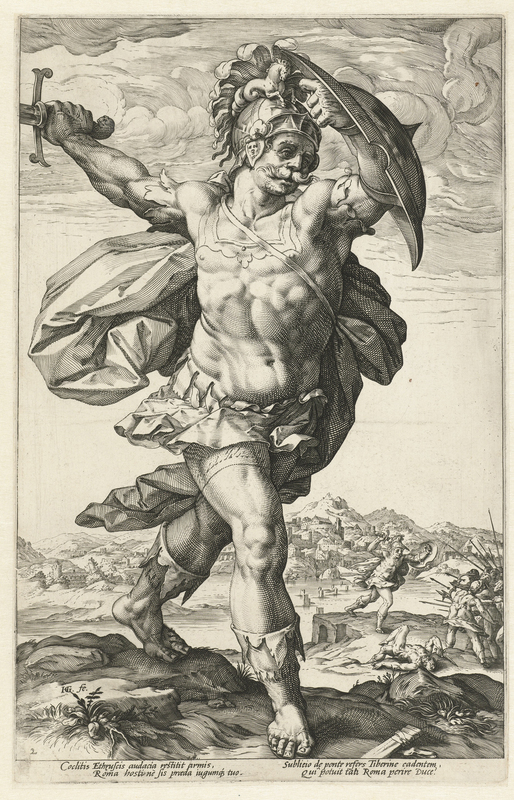 There is no casus belli for knocking over the Assad government, odious as it is. And Sean Davis of the Federalist asks 14 questions. Here are the ones that caught my attention. …proponents of military action to depose Assad have not explained is what our clear national security interest is there, what political victory looks like, what our main risks are, and what costs we will be required to pay in order to achieve that victory. …If our nation is going to wage war, and if we are going to pay a price in dollars and in American lives as a result of that decision, we are owed answers to questions that were never adequately answered before we went into Iraq. I try to avoid commenting on foreign policy, but all of the excerpts I just shared make total sense. Nobody is claiming that America’s national interests are being threatened. Instead, the case for intervention is that Assad is a bad dictator who is doing bad things. But if that’s the criteria for intervention, why aren’t we bombing China, Venezuela, North Korea, Saudi Arabia, and the Central African Republic? Heck, here’s a map from Freedom House. 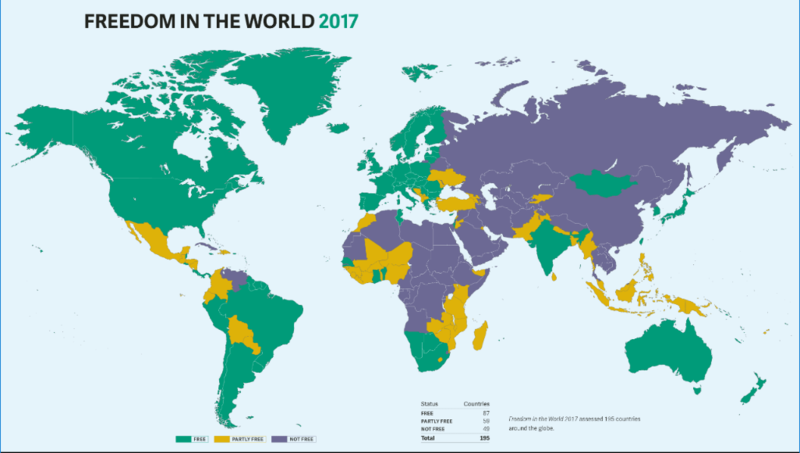 The purple nations are “not free,” which means systematic repression of political rights and civil liberties. Syria is on the list, of course, but if having an oppressive government is what triggers U.S. intervention, there will be perpetual war. Finally, I can’t help but call attention to a story in the New York Times that looked at many of the Republicans and Democrats who have flipped and flopped when commenting on Obama’s 2013 intervention and Trump’s 2017 intervention. But there are some notable exceptions, particularly two of the more libertarian-leaning Republicans who actually put principle over partisanship. And even though I admit I’m not a foreign policy expert, I sometimes play one on TV. And if you look at this interview from 2013, you’ll see that my views also have been consistent. Should American Taxpayers Subsidize Israel’s Defense? I rarely delve into foreign policy and defense issues. And when I do, such as my post about the conflict in Ukraine, it’s usually because it gives me an opportunity to draw attention to a topic that is in my bailiwick (in the case of Ukraine, it gave me an excuse to write about federalism). With this caveat in mind, let’s turn our attention to the Middle East. Unless you’re a hermit living in a remote cave, you presumably know that Israel is locked in another fight with Hamas. I’ve previously explained that I’m very sympathetic to the notion that Israel has a right to defend itself. But supporting Israel’s right to self defense doesn’t mean I should foot the bill. Yet that’s what’s happening. According to Wikipedia, Washington sends about $3 billion per year to subsidize Israel’s military. And now that amount will be even larger because Congress just approved another $225 million to help finance Israel’s missle-defense system. Congress approved a $225 million package to replenish Israel’s missile defenses with its last order of business before a five-week recess… The House’s 395-8 vote in favor late Friday followed Senate adoption of the legislation by voice vote earlier in the day. 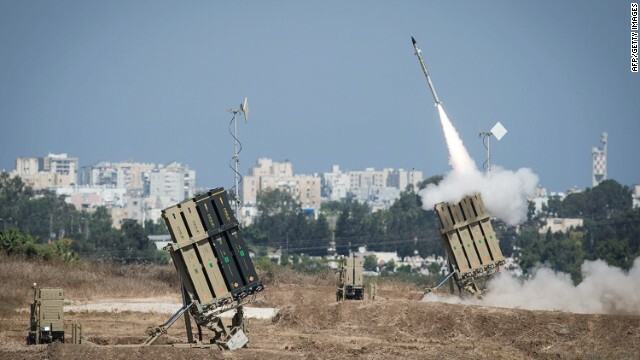 The money is directed toward restocking Israel’s Iron Dome, which has been credited with shooting down dozens of incoming rockets fired by Palestinian militants over 3½ weeks of war. …Iron Dome has enjoyed strong U.S. technological and financial support. Throughout its history, the U.S. has provided more than $700 million to help Israel cover costs for batteries, interceptors, production costs and maintenance, the Congressional Research Service said. The total already appeared set to climb above $1 billion after Senate appropriators doubled the Obama administration’s request for Iron Dome funding for fiscal 2015. Now it seems likely to rise even further. But this doesn’t mean everyone is happy about all this spending. Some libertarian-leaning fiscal conservatives opposed the added subsidies, or at least wanted Congress to come up with offsetting cuts. Despite almost universal support for Israel in Congress, the Iron Dome money appeared in doubt only a day ago as Senate efforts stalled after an effort by Republican Sen. Tom Coburn of Oklahoma to find cuts elsewhere in the budget to pay for the aid. …Voting against the measure in the House were…Republicans Justin Amash of Michigan, Walter Jones of North Carolina, Thomas Massie of Kentucky and Mark Sanford of South Carolina. For what it’s worth, I applaud those four House Republicans. I’m motivated in part by a desire to limit the burden of government spending in America, but I also think that Israel easily could afford more military outlays if it pared back its overly generous welfare state. If you look at the IMF data, government spending consumes about 43.8 percent of Israel’s economic output. And according to the CIA Factbook, Israel’s military budget amounts to about 5.7 percent of GDP. I’m not a math genius, but that certainly suggests to me that Israel’s government is diverting about 38 percent of economic output for non-military spending. If national defense is important and worthwhile (and it is), then Israel should prioritize and reduce domestic outlays. Heck, that’s what Roosevelt did during World War II and what Truman did during the Korean War. If you don’t believe me, look at lines 31-34 of this OMB spreadsheet. By the way, some people accuse these GOPers of being anti-Israel, but I think that charge is grossly unfair. I’m not personally close to any of the Republicans who voted against the Iron Dome funding, but I’ve met and talked to all of them and I’ve followed their careers. Suffice to say that I’ve never heard even the slightest hint that any of them harbor any anti-Israel or anti-Jewish sentiments. 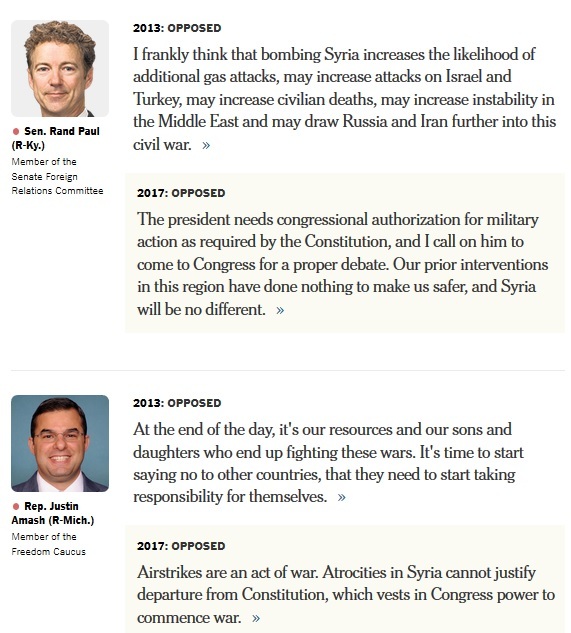 Indeed, here’s some of what Justin Amash wrote back in 2012. Israel is our closest friend in a very troubled region. Our national defense benefits from Israel’s ability to defend itself and to serve as a check against neighboring authoritarian regimes and extremists. Assisting with training and the development of Israel’s military capacity allows the U.S. to take a less interventionist role in the region. I am hopeful that American troops soon can leave the region and Israel and its neighbors can live in peace without U.S. aid or involvement. The last sentence is a pretty good description of libertarian foreign policy: Be prepared to defend ourselves, but don’t look for trouble outside our borders. P.S. The government of Israel pays for people who do nothing but pray. Which means that my tax dollars are picking up part of the tab. 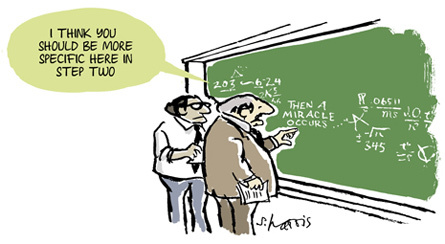 Prayer is presumably a good thing. Just don’t ask me to pay for it. P.P.S. While Israel’s government does dumb things, the governments opposing Israel sometime engage in truly evil acts. P.P.P.S. If you want to learn more about the libertarian approach to foreign policy, my Cato colleagues are the real experts. I also call your attention to these thoughts from Mark Steyn, George Will, and Steve Chapman. Sanders and his fellow Democrats want to give the VA billions more. …What is striking about Sanders’ bill is not just its price tag but how irrelevant it is to the most serious problems besetting the VA health care system. It was like adding new chrome to a car that won’t run. When Republicans stopped the bill earlier this year, Democrats predictably accused them of being insensitive to veterans’ needs. …It’s unclear what Congress will do, but one certainty in the debate is that the Sanders bill won’t solve the problem. But what do the actual budget numbers show? You probably won’t be surprised to learn that the VA already has lots of money. Here’s some of what has been reported by the Wall Street Journal. The Department of Veterans Affairs, the agency caught in a political firestorm over its medical care for veterans, has seen its funding grow faster than any other government department in recent years. Since 2000, annual spending has tripled to $63 billion to meet a surge in health-care and other costs. That is on top of the more than $85 billion the VA is set to receive this year for automatic payments such as disability benefits and pensions, a tally that has more than tripled since 2000. But some may argue that needs are rising even faster because so many soldiers were injured in Iraq and Afghanistan. The Federalist addressed this issue, in an article by Sean Davis. VA funding has more than kept up with both medical inflation and increased patient loads. An analysis of budget and cost data, as well as data on the total number of VA patients and the number of acute inpatients treated, shows that the VA’s budget has grown much faster than its workload. Even when you take medical inflation into account, the VA budget still grew faster than its patient base since 2000. …The VA has a whole bunch of problems, but a lack of funding ain’t one. Here’s a chart from Sean’s article. Hard to argue with these numbers. P.S. Since we’re on the topic of national defense and foreign affairs, let’s take a look at a very provocative column by Steve Chapman. He says that President Obama, whether by accident or design, actually has a reasonable foreign policy. As least if you think good foreign policy should be based on a prudent understanding of the limits of government. Conservatives generally agree on a few propositions. The federal government should avoid spending money unnecessarily. It shouldn’t exceed its basic constitutional duties. It should encourage self-reliance rather than dependency. 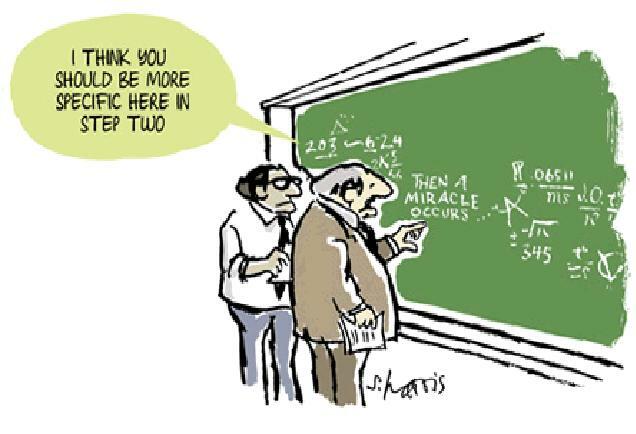 It should accept that some problems are beyond its ability to solve. Barack Obama, they may be surprised to learn, agrees with much of this formula. He just applies it in a realm where conservatives often don’t: foreign relations and national security. The Obama doctrine, as outlined in his policies and his speech at West Point Wednesday, is one of comparatively limited government. Chapman elaborates, drawing an interesting parallel to domestic issues. A…sensible view is that the U.S. can indeed remain idle while alleged dangers gather, because most of them won’t materialize. The immortal philosopher Calvin Coolidge said, “If you see 10 troubles coming down the road, you can be sure that nine will run into the ditch before they reach you.” Many conservatives believe in hurrying out to meet all 10 just in case. …Critics charge that Obama’s foreign policy shows an unwillingness to lead, or weakness, or uncertain purposes. The same complaint, of course, could be made about conservative policies on poverty, health care, urban blight, access to housing and more. “Don’t you care?” indignant liberals ask. But sometimes ambitious government undertakings are too expensive to justify, sometimes they fail to solve problems, and sometimes they make things worse. In those instances, declining to act — and explaining why — is the most authentic form of leadership. That’s just as true in the international realm as it is in the domestic one. I’m not a foreign policy expert, but I’m very sympathetic Chapman’s hypothesis because skepticism is always a good approach when analyzing government. 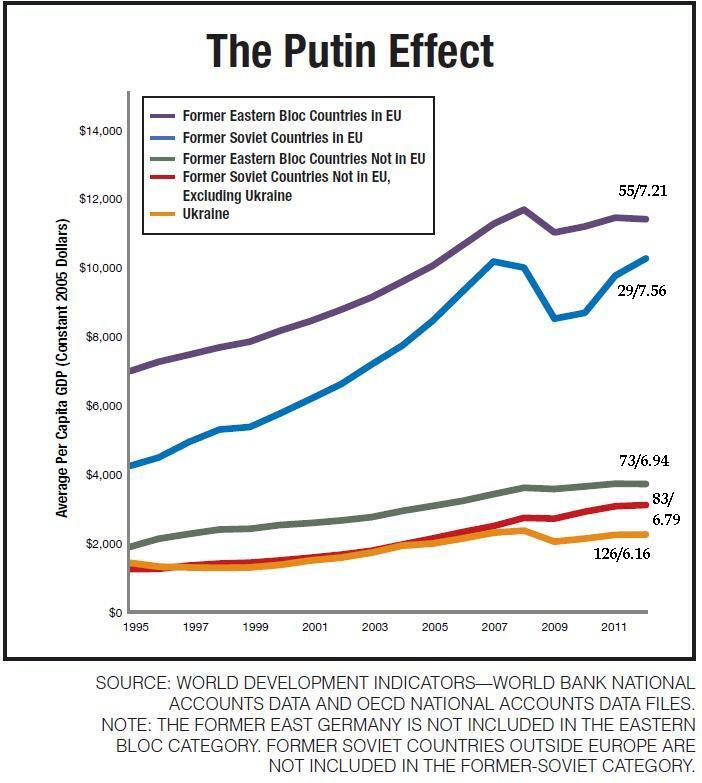 And his piece on NATO is must reading for similar reasons. That being said, I’m not going to put Obama on a pedestal or assume that he’s doing the right thing on foreign policy for the right reason. My guess is that his default position in foreign affairs is passivity. That often coincides with the libertarian position of non-intervention. But as I wrote above, libertarians also believe that national defense is one of the few legitimate functions of government, which is why they generally were allied with conservatives during the Cold War, when we faced an aggressive and imperialistic Soviet Bloc. My guess is that if we went into a time machine and it was 1980 instead of 2014, Obama would be more like Jimmy Carter and less like Ronald Reagan. P.P.S. Mark Steyn also has written some very wise words about libertarian-ish foreign policy.